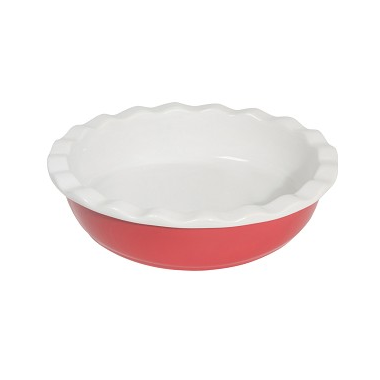 Smooth stoneware provides even heat distribution for pies or quiches. Angled sides make it easy to slice and serve your home baked creations. Choose your favorite color.